I saw it for the first time when I was eleven. It's starkness was beautiful and frightening at the same time. The frozen ice spread for miles without end. Before me was a vast & clear nothing. I was standing on Lake Baikal in Siberia. I looked down past my feet and through the yards of frozen water. Water so clear that you could see the fish swimming on the underside of the ice. It was a breathtakingly frozen tundra. 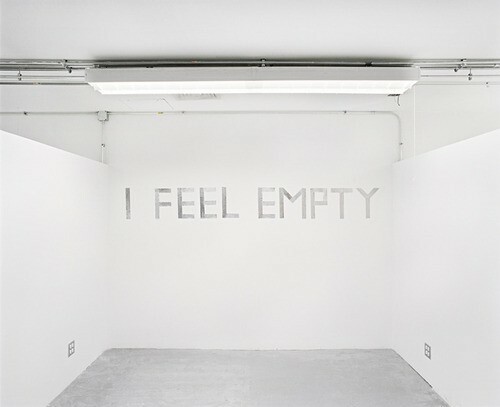 It felt empty. Nothing surrounded it. I've had that same sensation at other times in my life. The sensation of being in the middle of nothing. Nothing in my hands. No skill or ability. No means of making something happen. Nothing to say. Nothing to do. Nothing to wear. Nothing to contribute. Nothing to give. Nothing to teach. Nothing to my name. Nothing on the table. The best thing for my 'nothing' is God himself. Earth started off as nothing. In the beginning, it was dark. Void of any light, materials or resource...it was blank. It was empty. It was nothing. BUT GOD HAD A PLAN. He didn't need a starting point. He created one. From there He created light, order and life itself. He invented the puzzle pieces. When we feel empty and full of nothing - When you look at your life and think "God, you have nothing to work with here. There are no fantastic talents, skills or abilities. I have nothing" , stop. Remember that God has a plan. He doesn't need you to have anything. He has everything. God knows the destiny He has placed in our hearts. The best thing for our 'nothing' is God himself. God Is Good For Nothing.